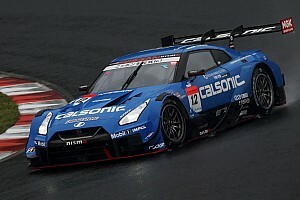 Button and teammate Naoki Yamamoto finished slowest of all in the final pre-season test at Fuji, more than a second of the pace of the chart-leading Impul Nissan drivers. 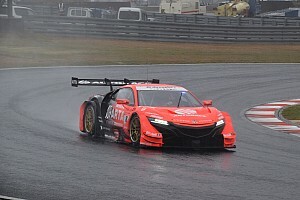 While all Honda runners generally appeared to struggle for pace on a single lap, the gap between Kunimitsu and the fastest NSX-GT of Nakajima Racing stood at over eight tenths of a second. Button said his squad could be satisfied with its performance on long runs but must actively seek a solution for its lack of one-lap pace. 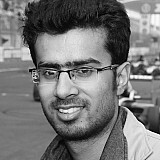 “At the moment we need to make progress to be competitive in the first race,” the 2009 Formula 1 champion said. “We’d rather be faster than we are, but I’m sure quite a lot of people would say they would like to be faster. 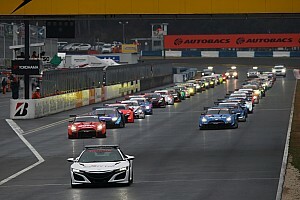 “Okayama will be a completely circuit than [Fuji], it will be a lot warmer than the official test at Okayama. So we will see. 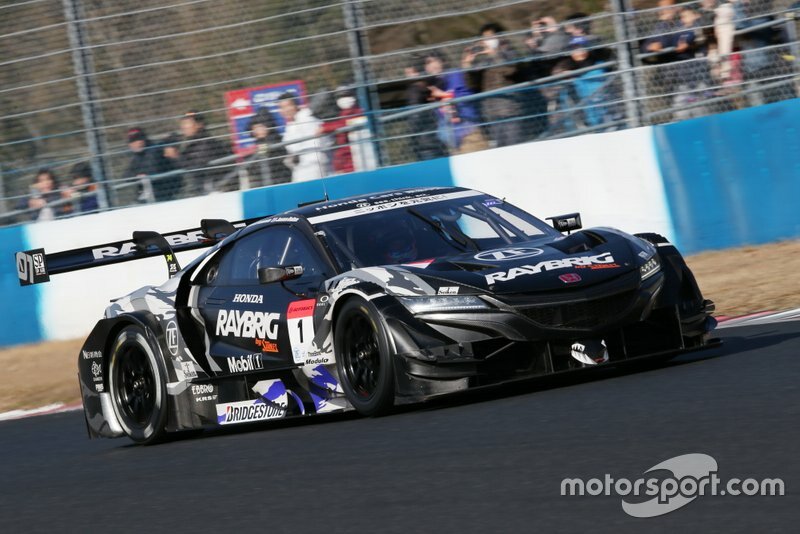 “That’s why Super GT is great because you never know who is going to be fast at the first race. So it’s exciting. 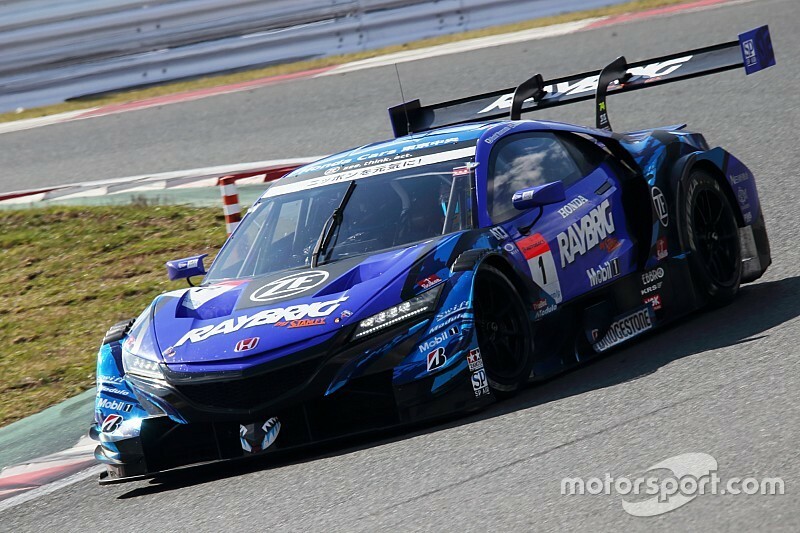 Even the Dunlop car [Nakajima Racing] looks quick here. Yamamoto added that a wrong choice of Bridgestone tyres partly explained Kunimitsu’s poor showing at Fuji, but admitted that the rivals have nevertheless overtaken the defending championship-winning team in the pecking order. "As the results indicate, it looks like we are not doing well and our rivals are doing better," Yamamoto, who also won last year's Super Formula title, said. "There was a part where the tyres we brought in this time [in the Fuji test] did not work well, so I don't think that it will be such a [poor] result in the race. 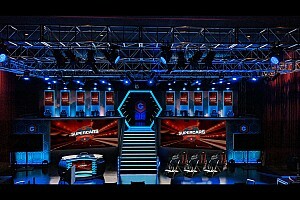 "Of course, our rivals will not come as they are and considering that they will evolve further, I think it will be quite difficult to bridge the gap that is there now." Honda debuted an aggressive frontal aero package, including a new flick box, at the start of pre-season testing, before reverting to a 2018-spec design at Fuji. Button explained that the new aero components delivered inconsistent results, convincing Honda to stick to its proven package. 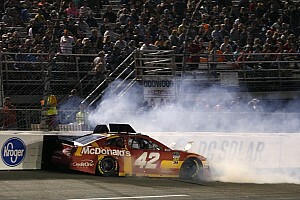 “I think we just found [the older] downforce package was more consistent through the corner,” he explained.